TOFINO, BC – Tofino Brewing has announced the doubling of its bottled beer line-up with the debut of two brands in the 650 ml format. 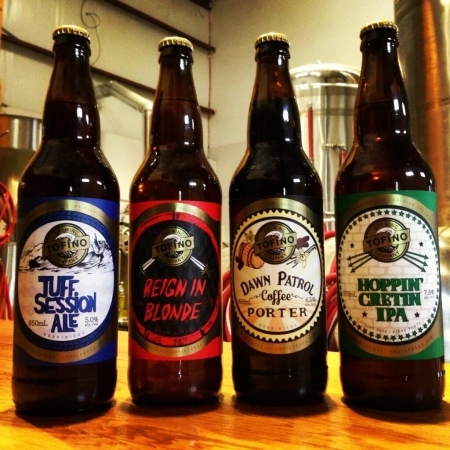 Previously limited to keg and growler sales, Reign in Blonde Ale and Dawn Patrol Coffee Porter have joined Tuff Session Ale and Hoppin’ Cretin IPA in bombers. All four beers are available now at select private liquor stores on Vancouver Island and the Lower Mainland of BC.